Not everyone finds their passion or calling in life, especially while in their often-tumultuous early twenties. I could say that I’m lucky, but I am totally going to own this. I spend a lot of time in self-reflection because knowing who we are and reflecting on our thoughts and actions is so important. Most people don’t realize this and that’s why it is one of the most obvious, yet most forgotten life secrets. In my self-reflection, I realized that I am at my best when I am empowering others to embrace self-love. A little background on me: My parents raised me to have a strong sense of who I am, helping me to feel confident even during my awkward pre-teen years. Throughout those years, I watched my friends struggle with liking who they were. They always commented on how self-assured and confident I was, expressing their jealousy. So in high school, I began to find ways of building my friends up and showing them how to believe in themselves and find their self-worth. This movement is called the Warrior Queen movement and my friends and I have been empowering others to love themselves for the past ten years. I still felt a little misguided with the Warrior Queen movement. I had a blog and I had big ideas, but they seemed too big and to include too much. For years, I struggled with pinpointing exactly how I wanted to proceed, and it wasn’t until the birth of my daughter this past summer that the words came to me. My slogan used to be “move in your own way” but it never seemed to capture what I wanted. I realized that I wanted to teach others to embrace self-love and empower those around them. I truly believe that self-love is a communal journey. While it all comes from within, we still need to have a strong support system. I also don’t believe that we have to be head over heels in love with who we are to empower others. Every person will struggle with insecurities, whether they admit it or not. As humans, we will never be immune to hurtful words and hurtful thoughts. Absolute self-love may never be attainable because our lives are fluid and consistently changing. By embarking on your own self-love journey and sharing your findings with a friend, encourages others to start their journeys as well. 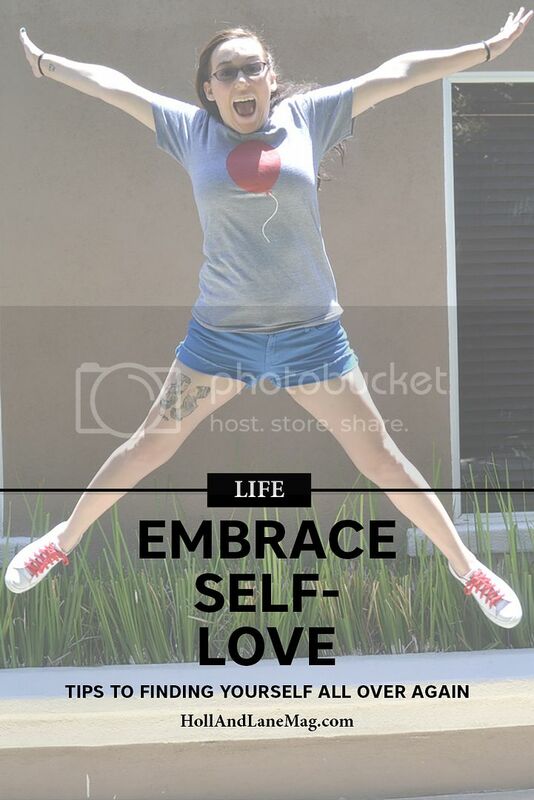 So what are my top 3 ways to empower you to embrace self-love? Many people are afraid of self-reflection. They don’t want to see the ugly or flaws. When someone comes to me at the beginning of their self-love journey, the first thing I always tell them to do is to create a list of all of their flaws. Then, for every flaw, write 5 things that they love about themselves. It is easy to get bogged down in flaws, yet we need to acknowledge and accept our flaws before all else. Whenever you’re feeling ready, invite a friend for a girl date to speak about what is weighing on your heart. Speaking of our self-love journeys and other life experiences can give us both an outside perspective as well as epiphanies. Each of us have our own unique set of ways to grow on our self-love journeys. Sharing them can help each other immensely. Each of us has different ways of practicing self-care. I could give you a list of things that I do, but you may not identify with any of them. Treat yourself like a person you are dating - take the time to get to know what truly makes you happy and treat yourself.